Poison Ivy rash is an allergic reaction to an oil secreted by the Poison Ivy plant causing contact dermatitis, which means inflammation of the skin. This is a common rash which is seen in America. The severity of the rash may differ from person to person. 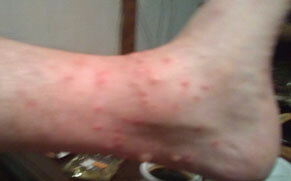 It can vary from just itchy red rash to severe allergic reaction with blisters. Poison Ivy is a creeper (a climbing plant). The leaves of this plant secrete oil, which can be irritant and leads to contact dermatitis (severe rashes which occur due to inflammation of the skin). This plant is found in North America and also in Canada. It is found in forests, beaches, along rivers and lakes. It can grow even along roads as well as parks. Since this is a creeper they can climb on trees, fences, and walls or run along the ground. The leaves grow in clusters of three. How does it differ from Virginia creeper or common Ivy? 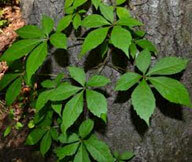 Virginia creeper looks very similar to Poison Ivy but harmless. There are usually 4-5 leaves. The vine is woody and it holds on to the supports nearby with little tendrils. Both plants turn red during autumn. So it is very difficult to identify the difference between these two. However common Ivy looks different to both and although the name “Ivy” is present, it is not that difficult to differentiate between common Ivy and Poison Ivy. 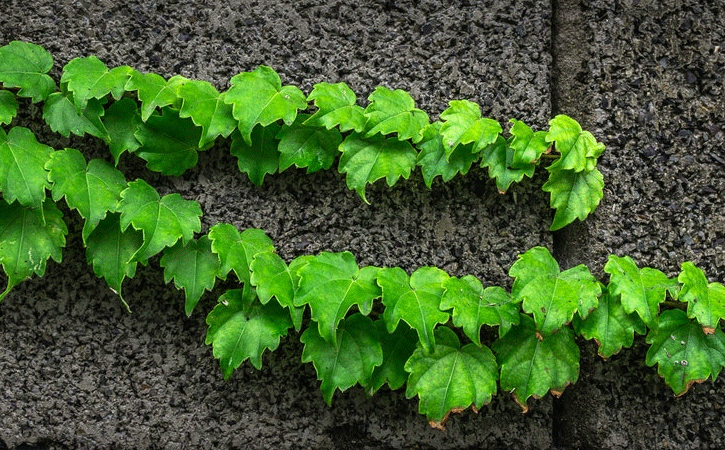 Common Ivy is commonly seen anywhere, but all these creepers may grow together in the same place and a person might accidentally touch on Poison Ivy. 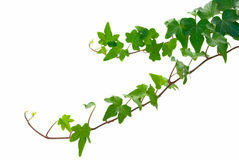 As common Ivy and Virginia creeper is used for flower arrangements if its mixed with Poison Ivy, the person who touches will end up in a horrendous rash. 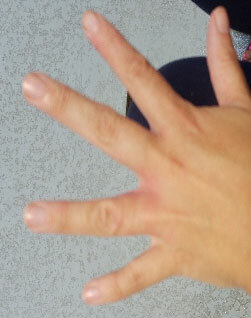 What triggers the allergic reaction? The leaves of the Poison Ivy secrete an oil called “Uroshiol” which is a resin. This can be spread through direct contact or when inhaled through the air. 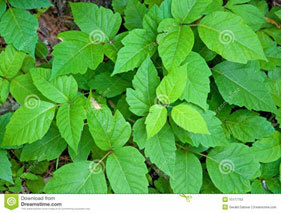 When Poison Ivy plants are burned the oil is added to the environment and can be inhaled. Uroshiol is a bad irritant component. When there is direct contact, it triggers an allergic reaction at the site of skin contact. When inhaled, the irritant will cause a severe internal allergic reaction in the body. What does the rash look like and Symptoms? Not all people who come in to contact with Poison Ivy develop symptoms. Some individuals are sensitive to the irritant and thus trigger the allergic reaction within their body. The severity of the reaction may differ from person to person. Depending on how sensitive you are to the irritant or the amount of the irritant substance you come in to contact with, may cause varying reactions. Symptoms can occur soon after the contact or later. If the amount of irritant contacted is more occurrence of rash will be faster and severe. Blisters – blisters can rupture and cause red ulcerative lesions. The fluid inside the blisters cannot spread the rash as it does not contain the irritant. Once the Uroshiol irritant is on one site, scratching the area with your fingers and touching another area of the body will lead to developing the rash on that particular site. For instance, if the irritant is on 1 side of the inner arm, bending the elbow will touch the inner forearm and a new rash can occur there, which looks like a butterfly lesion which is symmetrical. Since the rash is very itchy, the patient will scratch the lesion. Once the skin becomes damaged due to scratching, the infection can set in. Commonly with bacteria. The patient can develop lesions oozing with pus, high fever, and enlarged lymph nodes. If the irritant is inhaled, there can be severe anaphylaxis which can be life-threatening. Seek emergency treatment or dial 911, if you get chest pain, difficulty to breathe, faint, dizziness, swelling of eyes and mouth etc. If you are known to be sensitive to Poison Ivy, and if you come in to contact with the plant, wash your skin thoroughly with soap and water. Over the counter, antihistamines like fexofenadine or cetirizine can be tried. But should be cautious about dose and frequency of administration. If the features of anaphylaxis (chest pain, feeling faint, dizziness, difficulty in breathing) occur emergency treatment is necessary. Who are the people at risk for Poison Ivy contact dermatitis? Or those involved in outdoor recreation like hunting, fishing or camping have a higher chance of getting contact with Poison Ivy and thus developing the rash. There are over the counter skin products which can be applied that will act as a barrier between your skin and the Uroshiol resin oil. Clean all contaminated objects and clothing with detergent using gloves or ideally in a washing machine.